A teacher once learned the hard way not to tell his college class to write a children’s book without specifying a genre and topic. He anticipated a wonderful mix of fractured fairy tales, rhyming romps, and heroes’ journeys. A week later, almost the entire the class turned in alphabet books instead. “It looked easy,” they explained. The teacher, of course, was me, and I shouldn’t have been so surprised. 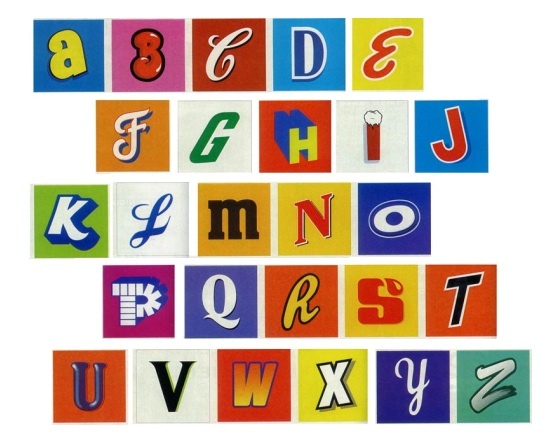 Alphabet books do appear as easy as ABC. A constant cast of 26 characters and a familiar, orderly structure provides writers with a ready-made template, which gives the false impression that alphabet books are the literary equivalent of connect-the-dots: A is for alphabet; E is for easy; Q is for quick. The sad truth is that the very same template that makes alphabet books so easy is to write is precisely what makes them so challenging to write well. Ask a hundred people to complete a connect-the-dots picture, and the result always looks much the same. But an alphabet book needs to be distinct and unique, or else there would never be a need to publish new alphabet books, and we writers would never get paid. How’s a writer supposed to be original and, more importantly, earn enough to eat when we’re all stuck using the same 26 characters? I learned the answer to that question when a helpful librarian brought me an Everest-sized pile of alphabet books. I almost needed bottled oxygen to reach the top of the stack. The expedition to the top of that mountain of books taught me a lot about what works in alphabet stories, and what doesn't. Climbing back down, I eagerly set out to write one of my own. Exactly 24/26ths of the way through my plot, my pen faltered. What the heck was I supposed to do with the X? The biggest hurdle for writers of alphabet books, but also the greatest opportunity for originality, is the letter X. Discerning book buyers often flip right to the last few pages to see how the writer has handled the alphabet’s most troublesome letter. Fail to impress the bookstore browser with letter X, and the book gets returned to the shelf, and the starving writer's belly keeps grumbling. What a cheat! But a clever cheat. The sudden rhyme on the final page, linking “hand” with “ampersand,” provides a lyrical flourish and a satisfying conclusion, like the crashing of chords at the end of a song. At least the writer didn’t resort to using The Dreaded Xylophone. The book skips several other letters altogether, a decision that may have freed the writer from thinking up six more apple-related words, but which also limits the book’s educational value. An incomplete alphabet is not an option in today’s competitive market . . . unless, like Mike Lester in A is for Salad (Grosset & Dunlap, 2000), you make the omissions funny. In A is for Salad, Mike Lester declares that “X and Y are bad letters. Never use them.” An illustration shows two men carrying off the letters in stinky garbage cans. The lack of familiar, child-friendly X-words other than the overused "xylophone" is enough to make many writers agree. Lester's joke works because it doesn't come out of the blue. 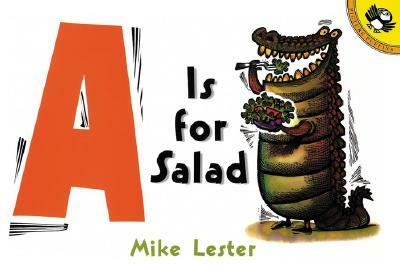 The book starts with silliness and a twisting of expectations right on page one, with a picture of an alligator eating a salad. So a child listening to the book already anticipates humor. For children too young to be in on the joke, Lester’s technique plays into the collaborative, interactive, conversational nature of picture books. The image prompts questions from the child listener, and invites the adult reader to explain that the letter A is really for alligator. By the time the reader reaches letter X, the garbage pail gag provides a change of pace, a funny, welcome break from the expected “A is for” sentence structure. 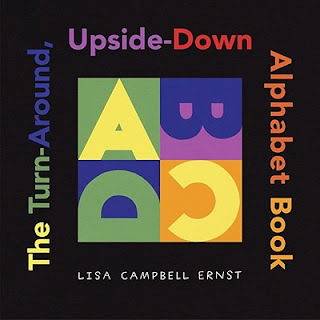 Lisa Campbell Ernst’s The Turn-Around, Upside-Down Alphabet Book (Simon & Schuster, 2004) prompts even more child-parent collaboration, in a tactile way. Rotate the book on all four sides, and each letter, viewed sideways and upside down, looks like three different objects. The letter A morphs into a bird's beak and an ice-cream cone. Best of all, Ernst cleverly sidesteps the usual problem with X. No need to delve into the dictionary for child-friendly X words or resort to the xylophone cliché. Instead, she has an easier task: name some everyday objects that just happen to look like the letter X. While many alphabet books are “list books,” others find originality by telling a simple, unique story. 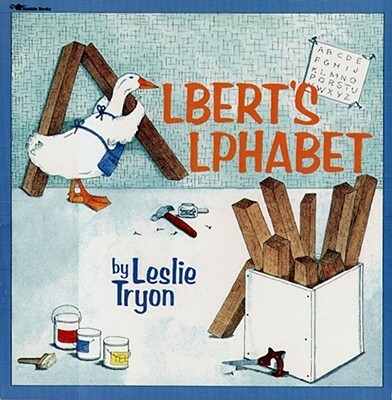 In Albert’s Alphabet by Leslie Tryon (Aladdin, 1994), the school carpenter gets a note from the principal instructing him to build an alphabet-themed walking path on the playground by the end of the day. The time crunch and the worries about whether Albert has enough material to finish his task give the story momentum, and the troublesome X doesn't appear in the text at all. Instead, X is pushed off into the illustrations, where it shows up as a waterwheel that Albert has constructed out of pipes. Thanks to some alphabet-related carpentry and masonry and a simple plot, the writer is spared the need to rummage through volume X of the encyclopedia for useful words. There are only so many ways to get from A to Z, and on every path, the letter X is a hurdle that can't be avoided. Innovation, turning the alphabet book format on its head—literally, in the case of Lisa Campbell Ernst—is a must if writers hope to create unique, twenty-first century alphabet books that distinguish themselves from the pack. The first person to use a xylophone in an alphabet picture book should have been the last. Originally published in May 2012, this post is the fourth most popular overall in the 10-year history of Cynsations. Past posts will be sprinkled into the schedule for the duration of Cyn's revision deadline. If all the animals came inside, bears would run down the stairs, kangaroos would bounce on the couch, and hippos would play hide-and-seek through the halls! Join one family's wild romp as animals of all shapes and sizes burst through the front door and make themselves right at home. 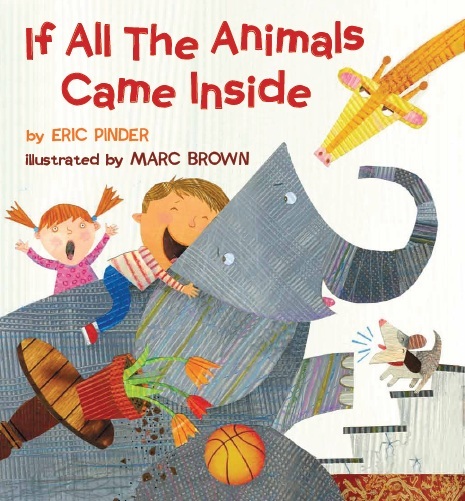 I had to pick up IF ALL THE ANIMALS CAME INSIDE because I was so curious whether indeed it was THE Marc Brown of Arthur fame using a new format. The text and illustrations were so well-paired and engaging. Thank you for profiling so many alphabet books. Indeed xylophone and X-ray should be moved lowered on the X leXicon! Fantastic post! The X has always been tricky, for sure! Very thought provoking! Xactly! Wait, is that cheating? Xcuse me, I just had to try. Yes, Cathy, the text and illustrations and a great match! We could call it the X-Factor, Cathy, Kimberly and Lane, but I think that's already taken by Hollywood! In Hebrew there are lots of alphabet-books too, and i always wonderd. thanhs for a wonderful post. Thanks for the insightful and entertaining post! 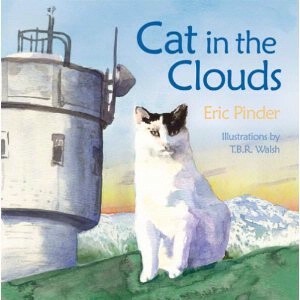 I'm always glad to hear from Eric Pinder. I love his picture books. Great post. Inspires me to give it a go!